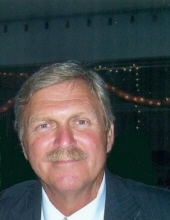 Craig Herald, age 64, of Tazewell, VA passed away Thursday, March 21, 2019 at Clinch Valley Medical Center in Richlands, VA. He was born August 18, 1954 in Tazewell, VA. He was preceded in death by his parents, Jeff and Vivian Brown Herald. Craig is survived by his loving wife of 25 years, Connie Herald; one son, Marcus Herald and wife Amy; one daughter, Leslie Herald; one brother, Eddie Herald; step-sons, Erick Alsbrook and wife Kathryn, and Jeremy Alsbrook; three grandchildren, Eden Alsbrook, Anna Alsbrook, and Abby Smith. We would like to thank all of our family and church family and friends for visiting and spending time with Craig these past few years as he has recovered from his stroke, and his fall, and most recently his battle with cancer. It was through your support that he was able to have such a happy and fulfilling life despite these hardships and we are eternally grateful for your selfless care towards him. Craig was a man that could do anything. His wide range of experience lead him to work for and make friends with many people all throughout the area. His most noteworthy attributes were his sense of humor, his positive attitude and charm, his hard work ethic, and his passion for games and sports. His favorite past times have always been playing golf and cards with his closest friends and making small talk with anyone around that would listen. In the past few years Craig had found his way into church and we are happy to say that before getting sick he had given his heart to Jesus. God had granted our most important prayer, and we know Craig is in the presence of the Lord now. We look forward to being with him in heaven for all eternity. We would like to share with you the overwhelming love and compassion of the Caring House. When Craig was going through radiation and chemo treatments at Duke he stayed at the Caring House which is an organization that provides low cost housing for cancer patients. During Craig’s stay different restaurants and church families would come by to bring food and pray and do worship with the residents. These volunteers helped to foster community and wellness and love for everyone there. Because of our terrific experience, we will not be accepting any flowers and donations, and would instead ask you to send a donation to the Caring House so we could be a part of providing care for someone going through the struggle Craig just ended. You can find that link here: www.caringhouse.org or the mailing address is Caring House, 2625 Pickett Road, Durham, NC 27705, In Memory of Craig Herald. Thank you all again for your love and support. We would specifically like to thank Terri Alsbrook who has faithfully stood by Craig and Connie’s side through this ordeal. We are blessed to have such terrific friends and family and we love you all. The family will receive friends after 12 noon Saturday, March 23, 2019 at Singleton Funeral Service in Cedar Bluff, VA.
A Memorial Service will be conducted at 1 p.m. Saturday at the Singleton Funeral Service Chapel with Pastor Zack Collier and Mr. Roger Hankins officiating. Online condolences may be sent to the family by going to www.SingletonFuneralService.com. The family of Craig Herald is in the care of Singleton Funeral Service in Cedar Bluff, VA.
To send flowers or a remembrance gift to the family of Craig Robert Herald, please visit our Tribute Store. "Email Address" would like to share the life celebration of Craig Robert Herald. Click on the "link" to go to share a favorite memory or leave a condolence message for the family.